Designed for a narrow, deep lot, the Waverly features our signature “Social” Hearth Wall Kitchen. With a large family room leading into the luxury kitchen, then into the dining room, the first floor is rounded out with spacious and connected front and rear entries. 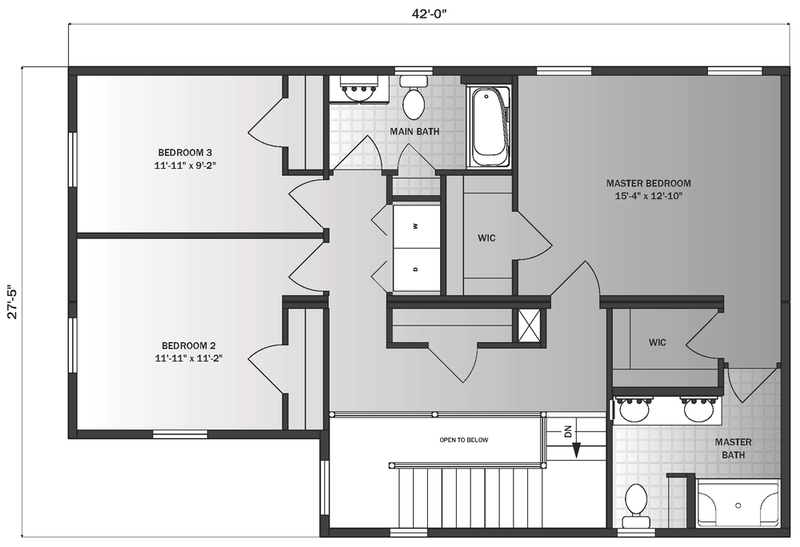 The second floor features a spacious master suite along with two additional bedrooms, a bath and a laundry area. 3 Bedrooms | 2.5 Baths | 2,031 sq. ft.
First Floor: 1,015 sq. 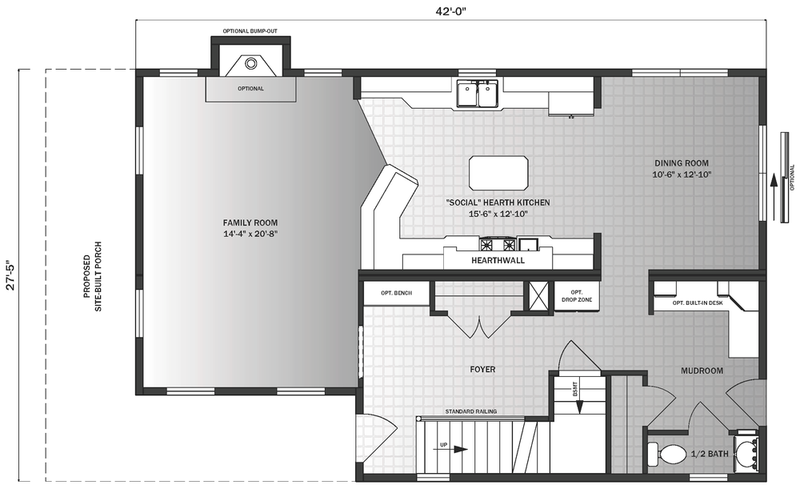 ft.
Second Floor: 1,015 sq. ft.